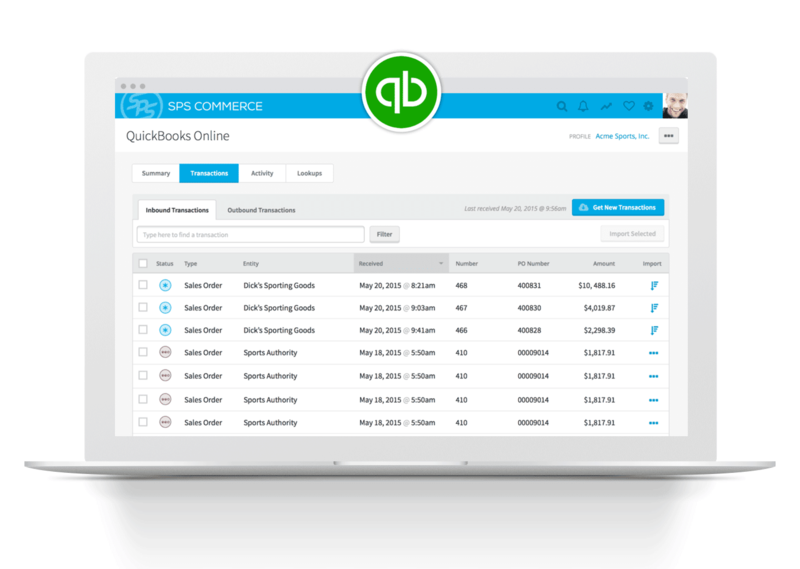 Increase productivity, decrease costs and scale effortlessly with Fulfillment EDI for Intuit QuickBooks from SPS Commerce. With the EDI for Intuit Quickbooks solution from SPS Commerce, you can automate operations and eliminate the error-prone manual processes that slow you down and cost you money. Position your business for scalability and growth with Fulfillment EDI automation. At a certain point in your business’s evolution, manual processes get in the way of growth. Automate tasks with Quickbooks and EDI from SPS Commerce and stop spending precious time and resources on data entry and fixing errors. Wondering how SPS Commerce compares to other Intuit Quickbooks EDI integration providers? Choose the industry’s most complete Intuit Quickbooks EDI integration solution. Let retailers track the status of their orders directly in Quickbooks and eliminate the need for phone calls and email updates. Get simple answers to all of your EDI for Quickbooks questions.